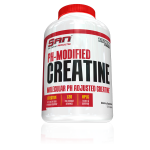 Creatine is the predominant source of energy for the body. It can actually be produced by the body but its supplementation increases its stores inside the muscles, thus improving their ability to contract and produce work. 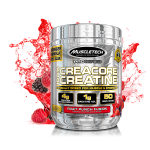 The use of creatine is beneficial mainly for bodybuilders, weightlifting athletes and endurance athletes as it contributes to faster replenishment of glycogen stores. 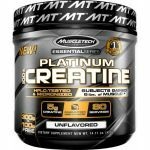 Creatine supplements are the ideal products for anyone who wants to increase their muscle volume and strength quickly and efficiently. 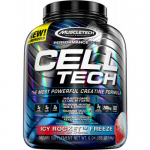 Its synthesis is made by the amino acids methionine, arginine, glycine and it is by 95% stored into the skeletal muscle. Creatine is the most studied ergogenic means and research shows that there are no side effects from supplementing it. Instead, it has a protective effect against some injuries caused by intense exercise. Creatine definitely improves strength and performance and is scientifically proven to work for everyone.